Donald Trump Jr. hinted at a possible gubernatorial bid in New York during a speech he gave to members of an elite gun club. 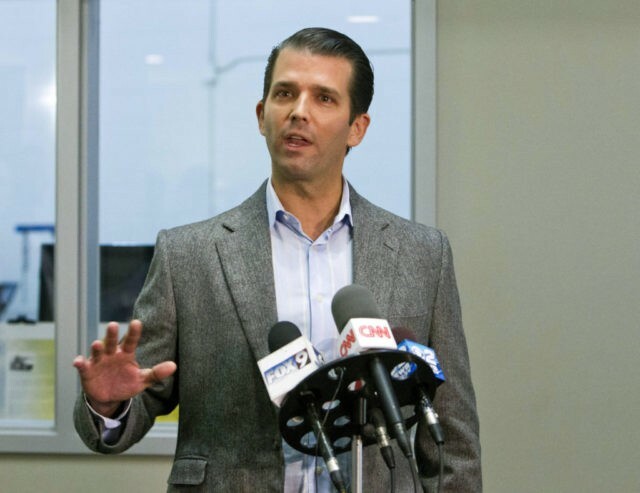 Trump Jr. made the comment during a speech to members of the F6 Labs gun club in Hicksville, New York, the New York Post’s Page Six reported. Trump Jr. reportedly said he was bored with his return to business after joining his father on the campaign trail for president. “The politics bug bit me,” he said. Trump Jr. did not give a timeline of when he would run for governor of New York. Gov. Andrew Cuomo (D), who has vocally criticized the president on a number of his policies, is up for re-election in 2018. Trump Jr. reportedly said he is not considering a congressional run in either the House or Senate.